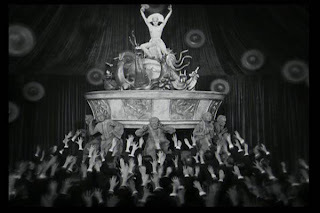 Metropolis was a landmark film in the history of visual effects not only for pionerring then state-of-the art film techniques but for its visual style as well. The purpose of this case study will be to demonstrate how Metropolis utilized techniques far ahead of its time to envision a dystopic industrial future in ways later borrowed by such films as Blade Runner and Dark City. 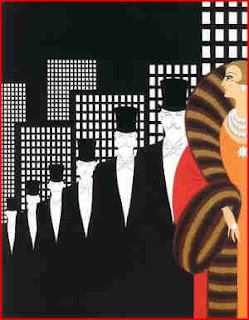 Metropolis was heavily influenced by a number of styles and trends occurring in Germany in the mid-1920s, although its visual themes and style can be traced back further. 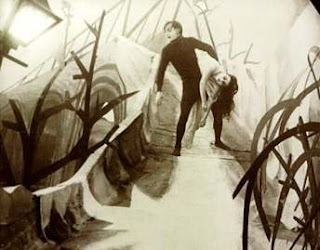 The film is largely credited as being the last true German Expressionist film, while simultaneously being hailed as the first example of German New Objectivity film. German Expressionism was a movement in the arts and, later, cinema that began in 1905 with the formation of a group of artists who called themselves Die Brucke (The Bridge). 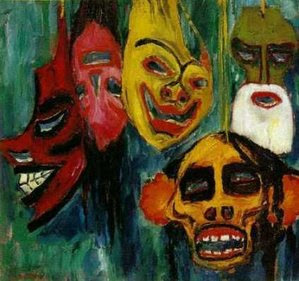 Prominent members of this group include Ernst Ludwig Kirchner, Emil Nolde, and Otto Mueller. Expressionist art explored the distortion of reality for an emotional effect on the viewer. Following World War I, a time of great economic hardship for Germany, Expressionism entered the relatively new medium of film, incorporating the same ideas that it had in painting and skewing it to reflect the attitudes of the time. Although the German film industry was booming, the hard economic times meant that filmmakers found it difficult to create movies that could compare to the high-budget Hollywood productions in America. To compensate, filmmakers of the German UFA studio experimented heavily to alter the mood of the audience in new and previously unexplored ways. 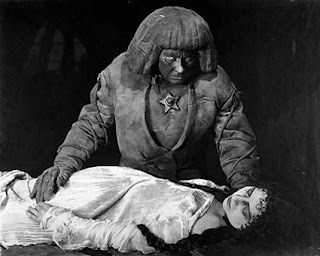 German Expressionist film is known for generally being dark in theme and oftentimes deals with the supernatural or the occult. The use of shadow in such films is intense, with high contrasting light areas as focal points. German filmmakers relied on symbolism and mise en scene to create the moody feel of their works and to infer them with deeper meaning. Cinematographers explored wildly with different camera angles to achieve various effects, such as a high or low angle shots, in a manner that would latter be famously applied in American cinema in Welles’ Citizen Kane. Set designs were also done in an avant garde style, and were heavily influenced by expressionism in painting. Prominent examples of German Expressionist film include Nosferatu (1922), The Cabinet of Dr. Caligari (1920), and Der Golem (1915). As a reaction to German Expressionism, a new movement arose in the early 1920s called the New Objectivity or Neue Sachlichkeit. It represented everything that Expressionism rejected, favoring plain objects, an emphasis on secularism, and the rational as opposed to the supernatural. Artists such as Otto Dix and George Grosz were also heavily influenced by the Art Deco movement in art and design in both Europe and America. Art Deco complemented this style because of its emphasis on industry, geometry and balance. Other influences in this movement can be seen in the works of Fernand Leger and the Italian Futurists, who also preferred the cold precision of machines and industry to emotion and nature. Leger’s Ballet Mechanique (1924), with its "dance" of mechanical objects rather than human figures and its percussive, industrial score can clearly be seen as influential in the underground scenes in Metropolis depicting the rhythmic, steaming machines and their robotic workers. Metropolis can be seen as a film incorporating both elements of Expressionism and New Objectivity. Thematically, the film aligns closest to expressionist film, however it is a visual blend between the two. Scenes depicting Rotwang’s Lab and the chapel underground are directly drawn from expressionist styles, whereas the cityscapes and the machines are derived from Art Deco and the New Objectivity. Lang claimed to have been inspired by the skyscrapers of New York when he envisioned Metropolis, but a number of paintings by George Grosz depict buildings extremely similar to those found in Metropolis. Metropolis is often regarded as being the first major sci-fi film. Science Fiction as a genre had existed in film prior to Metropolis, and certainly in literature going back to the classic works of Jules Verne. 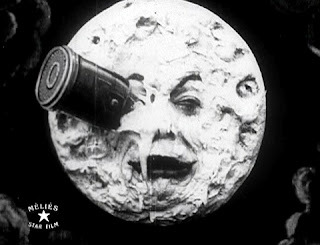 Notable earlier science fiction works, including Georges Melies’ groundbreaking A Trip to the Moon (1902) and The Lost World (1925), employed techniques that would later be used in Metropolis such as matte painting, use of glass shots, miniatures and stop motion animation. Going from Lang’s vision to the actual production of the film required innovative techniques in visual effects- as well as a lot of money. The film was budgeted for 1.1 million marks, but ended up costing at least six million marks.The film broke all previous records for money spent, and very nearly bankrupted UFA in the process. The film’s cast of nearly 25,000 extras, as a result, were paid very little for their work- all in a time when many people in Germany could not even afford to eat. Filming began May 22nd, 1925, and continued until the end of October in 1926, consisting of 310 shooting days and 60 nights and took place in UFA studios, although some shots were done in massive sets in warehouses- and even one scene was shot inside of a zeppelin hull near Berlin. 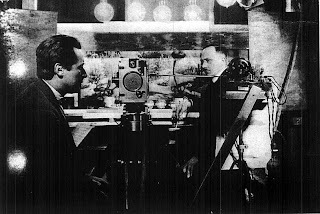 Cinematographers Karl Freund and Gunther Rittau relied heavily on traditional German Expressionistic techniques in shooting the film. One particular technique involved slowly focusing in on a key character’s face or a part of their body, such as a hand, to emphasize the character’s emotions or intentions. To create the panoramic shot of the Eternal Garden, Freund employed a so-called debris camera. Because the model in the foreground had to be shot from very close up, the camera would have had to remain absolutely motionless. To solve this problem, Freund moved the model in front of the camera instead. 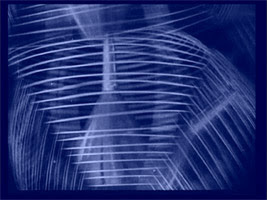 Gunther Rittau photographed animated mechanical models for the film’s title sequence, closely mimicking Leger’s "Ballet Mechanique"